What is astonishing about this image is that in 8 seconds Kevin has also captured the Milkyway which in his neck of the woods is washed out with light pollution. Like last year the morning of the 12th showed the most meteors. 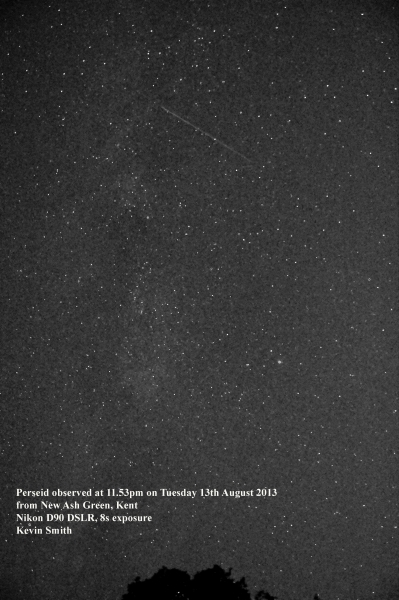 This was the highest duration meteor captured on the 12th August 2013 at 11:38:18 it lasted for 338 counts which looking at the trace is about a minute.